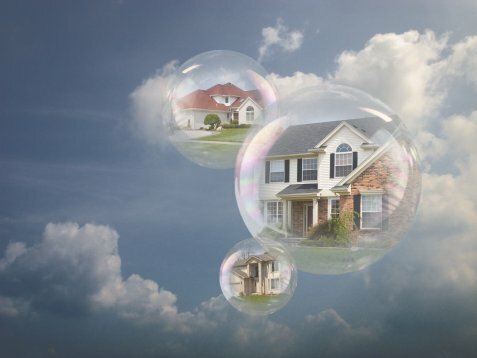 Summary: Since the first post here about the housing crisis in December 2007, it’s been described here as not just a central piece of the economic weakness but a illustration of our political dysfunctionality — our inability to use a crisis to identify structural weaknesses and generate the pressure for their reform. 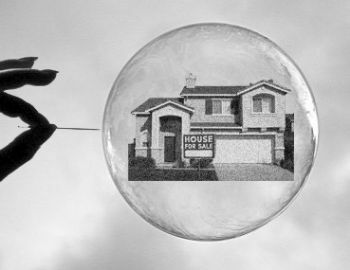 Here’s an update about the core element of the problem: the excess supply of housing built during the bubble. The Federal government has applied a fantastic array of programs to stimulate housing demand. A tax credit for first-time home buyers. Rates have been forced down to absurd levels. The Federal Reserve has purchased almost a trillion dollars of mortgage-backed securities. The Housing Finance Agency has become the nation’s largest subprime lender. And the Federal government in some form backs aprox 90% of all new mortgages (source here). As a result some of the excess housing stock has been worked off during the past four years — used or destroyed. Today’s Census Housing Vacancy Survey for Q4 of 2012 shows us how far we’ve come. And how much remains. The vacancy rate peaked at aprox 3% above the long-term average, and after four years is still 2% above the average. When vacancies drop below the average then prices rise and construction booms — in a free-market economy. The still-high vacancy rate is broadly distributed among sub-categories. The “held off-market” segment is 39% of total vacancies, roughly the long-term average. So the vacancy rate is probably not dominated by banks holding foreclosed properties. In areas with out-migration the ultimate fate of excess units is destruction. While that happens housing construction continues in areas with net in-migration. The result is a slower rate of growth in the nation’s housing stock, allowing the growing number of households to absorb excess housing units. That appears to be happening, although slowly. Analysts tend to look at units, but size (ie, area) is an important factor in home values. As the boomers age, they will want less space (especially since home equity is the largest pool of wealth for boomers). Large homes are sold for small homes. Small homes for condos in a retirement community. Condos for an apartment in an assisted living facility. And eventually, the final move to a nursing home. This evolution will put pressure on home prices for several decades. What the boomers buy rises in price; what they sell drops in price. Sparks of justice still live in America – cherish them and perhaps they’ll spread, 11 September 2009 — About foreclosures. Who should we blame for the mortgage crisis?, 16 January 2011 — An assortment of evidence about the cause of the mortgage crisis. I just wanted to write a simple comment so as to express gratitude to you for all the wonderful tips and tricks you are placing at this website. day been compensated with extremely good facts to write about with my relatives. I ‘d tell you that we website visitors actually are very endowed to dwell in a fabulous place with so many lovely professionals with very beneficial hints. I feel very much blessed to have used the weblog and look forward to some more excellent moments reading here. Thank you once more for all the details. cities, and at present is showing no sign of a decline. SYou know what they say right, the success of any undertaking is not in the end result.